Vigilance and appropriate product choice will be essential to protect young lambs over the coming days and weeks, warns the Sustainable Control of Parasites in Sheep (SCOPS) group, as the difficult spring continues to challenge flocks. Speaking on behalf of SCOPS, Lesley Stubbings says: “SCOPS is urging farmers to remain vigilant, as the level of risk for nematodirus is now very high in some areas of the country. While many producers are still getting over the impact of the cold and wet weather, the bouts of warmer conditions, however welcome, mean no one can afford to rest on their laurels. A free and easy-to-use forecasting service is available from SCOPS, enabling farmers, vets and advisors to check the level of risk in their area. The interactive map (pictured) can be found at www.scops.org.uk/nematodirus. Ms Stubbings continues: “The warm weather last week has also led to the other worm species ‘waking up’ with reports of relatively high counts in some lambs. This indicates that starting to do some faecal eggs counts (FECs) now is a good idea. 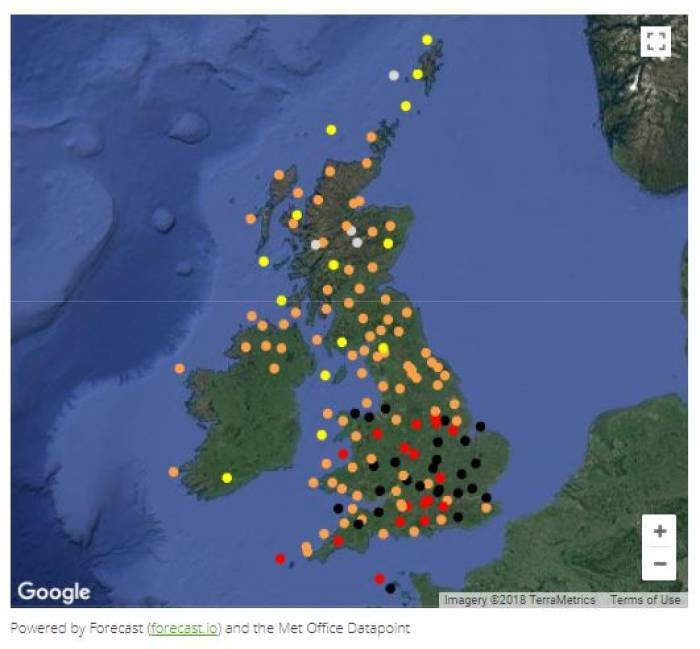 The SCOPS Nematodirus Forecast uses data from 140 weather stations, provided by the Met Office and DarkSky. This press release is issued by National Sheep Association (NSA) on behalf of SCOPS. For more information contact Joanne Briggs, NSA Communications Manager, on 07908 604744 or [email protected]. SCOPS is funded by AgriSearch, AHDB Beef & Lamb, Animal Health Distributors Association (AHDA), Animal Medicines Training Regulatory Authority (AMTRA), Hybu Cig Cymru (HCC), National Farmers Union (NFU), National Office of Animal Health (NOAH), National Sheep Association (NSA) and Quality Meat Scotland (QMS). These bodies are joined by a number of experts in parasitology and sheep health to form the SCOPS Steering Group. A full list is available at www.scops.org.uk. The interactive map on 30th April showed a number of high and very high risk sites.